1861 … Joseph Buckley was buried at Utley Cemetery, near Keighley, West Yorkshire. He is my great grand uncle. 1873 … Elizabeth Dawson was born in Cowling, West Yorkshire to parents Matthew Dawson and Ann Brigg. Here is another gravestone at St. Mary’s church, Conistone, in the heart of the Yorkshire Dales in England. 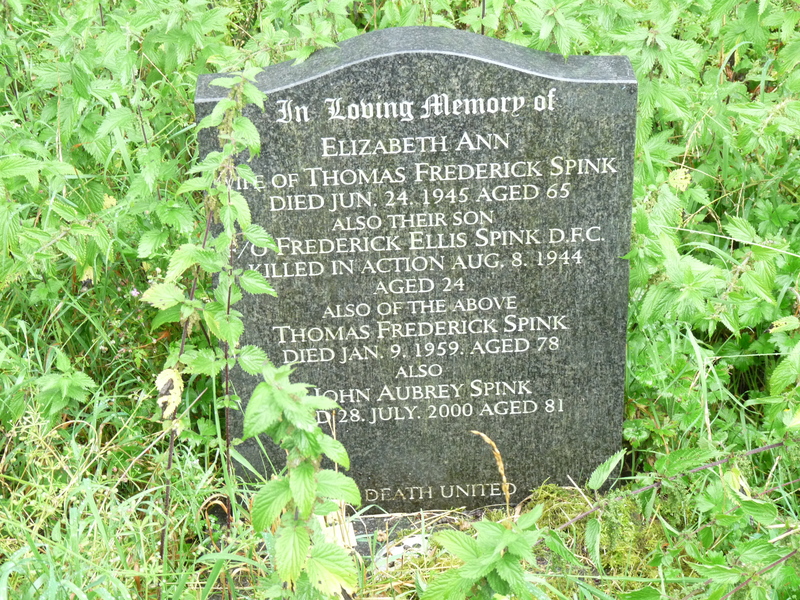 This is the resting place of my 1st cousin 3x removed, Thomas Frederick Spink. Also his wife Elizabeth Ann and two of their three sons, Frederick Ellis and John Aubrey. Thomas was born about 1881 to parents Joseph Spink and Isabella Hannah Metcalfe. He appears on the 1881 and 1891 census returns living with his parents. By 1901 Thomas had left home and moved to Barwick in Elmet, near Tadcaster – about 45 miles from Conistone. Thomas and two other brothers (Joseph Ellis and Robert Aubrey) are living with their oldest brother, John Metcalfe Spink and his family. John’s occupation is a self employed butcher and Thomas is working as a butchers assistant. 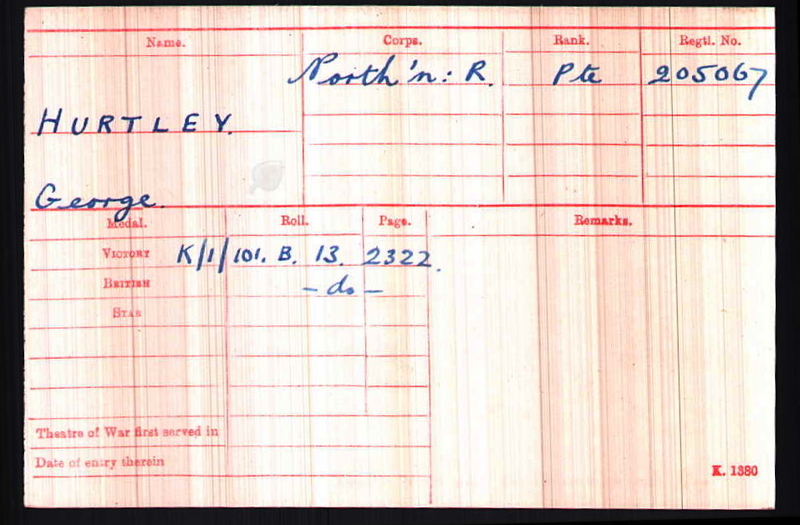 In 1911 Thomas is back home with his parents living in Skipton, Yorkshire and his occupation is butcher. The next record I have for Thomas is when he marries Elizabeth Ann Fawcett about June 1918. Their marriage is registered in Skipton. I haven’t done any research on Elizabeth’s line so have no further information about her. I spoke about Frederick Ellis a few weeks ago. He died on active service in the RAF during WW2 on the 8th August 1944. He was awarded the Distinguished Flying Cross (DCF). Just over a year later on 24th June 1945 Elizabeth died and her death is recorded in the Skipton registration district in Yorkshire. I haven’t been able to find any further information about Thomas. I know from the gravestone that he died on 9th January 1959. The other son buried here at St. Mary’s is John Aubrey. I don’t have any confirmed information about his life. I have found what is possibly a marriage for John but I haven’t spent any money on getting the certificate. He died on 28th July 2000. I have spent the whole of the Bank Holiday weekend on the computer trying to add information to my Dawson and Hurtley lines in my family tree. I feel like I have done really well and pleased with the progress I have made. During the last hour I discovered another First World War hero in the family. George Hurtley is my 1st cousin 2x removed. He was born in Bradford, West Yorkshire about 1891 to parents Thomas Hurtley and Jane Willis. I already had George in my tree but until today I hadn’t done any other work on his parents or his siblings. George’s father worked as gardener for over 30 years until he died in 1907. This afternoon I found George on the 1911 census living with his widowed mother and his sister Jessie. He had followed in his father’s footsteps and was working as a gardener. Just over two years later George married Lucy Sibley Clark in Bradford. Sometime after the outbreak of war George joined the army. He first served in the Yorkshire Dragoons before being assigned to Northamptonshire Regiment 7th Battalion. The 7th Battalion was formed at Northampton in September 1914 and attached to 73rd Brigade in the 24th Division. They moved to the South Downs and into billets in Southwick between November 1914 and April 1915. They were moved on to Woking in June 1915. And on 2 September 1915 they landed at Boulogne. George was killed in action in France on 22 March 1918. He is commemorated at the Pozieres Memorial in the Somme, France. 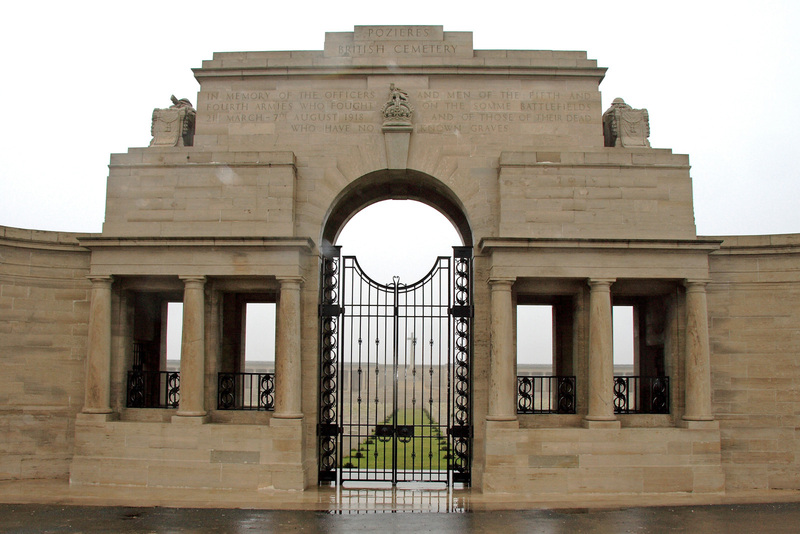 The Pozieres Memorial relates to the period of crisis in March and April 1918 when the Allied Fifth Army was driven back by overwhelming numbers across the former Somme battlefields, and the months that followed before the Advance to Victory, which began on 8 August 1918. The Memorial commemorates over 14,000 casualties of the United Kingdom and 300 of the South African Forces who have no known grave and who died on the Somme from 21 March to 7 August 1918. The Corps and Regiments most largely represented are The Rifle Brigade with over 600 names, The Durham Light Infantry with approximately 600 names, the Machine Gun Corps with over 500, The Manchester Regiment with approximately 500 and The Royal Horse and Royal Field Artillery with over 400 names. The memorial encloses Pozieres British Cemetry, Plot II of which contains original burials of 1916, 1917 and 1918, carried out by fighting units and field ambulances. The remaining plots were made after the Armistice when graves were brought in from the battlefields immediately surrounding the cemetery, the majority of them of soldiers who died in the Autumn of 1916 during the latter stages of the Battle of the Somme, but a few represent the fighting in August 1918. There are now 2,758 Commonwealth servicemen buried or commemorated in this cemetery. Of these 1,380 are unidentified but there are special memorials to 23 casualties known or believed to be buried among them. There is also 1 German soldier buried here. I am incredibly proud to have found George and to be able to write about him. Last week I told you about the accident that killed Robert Aubrey Spink. 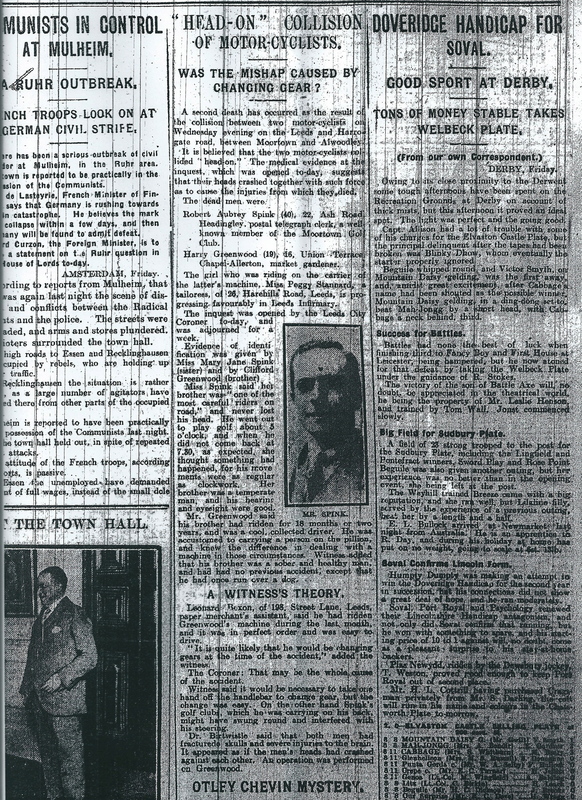 This is the second newspaper article about the accident and covers the Coroners Inquest held on 20th April 1923. WAS THE MISHAP CAUSED BY CHANGING GEAR? A second death has occurred as the result of the collision between two motor-cyclists on Wednesday evening on the Leeds and Harrogate road between Moortown and Alwoodley. It is believed that the two motor-cyclists collided “head-on”. The medical evidence at the inquest, which was opened today, suggests that their heads crashed together with such force as to cause the injuries from which they died. Robert Aubrey Spink (40) 22, Ash Road, Headingley, postal telegraph clerk, a well known member of the Moortown Golf Club. Harry Greenwood (19), 16 Union Terrace, Chapel Allerton, market gardener. 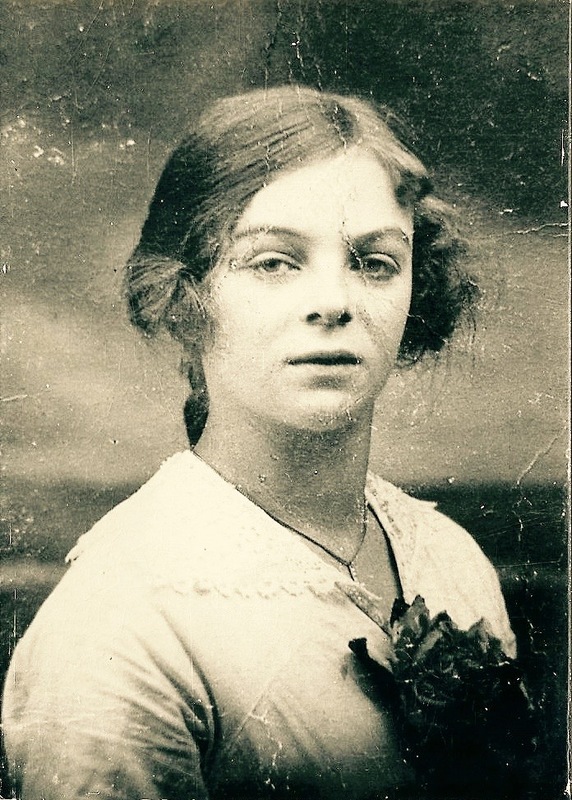 The girl who was riding on the carrier of the latter’s machine, Miss Peggy Stannard, a tailoress, of 26 Harehills Road, Leeds,, is progressing favourably in Leeds Infirmary. The inquest was opened by the Leeds City Coroner today, and was adjourned for a week. Evidence of identification was given by Miss Mary Jane Spink (sister) and by Clifford Greenwood (brother). Miss Spink said her brother was “one of the most careful riders on road.” and never lost his head. He went out to play golf about 5 o’clock, and when he did not come back at 7.30, as expected, she thought something had happened, for his movements were as regular as clockwork. Her brother was a temperate man, and his hearing and eyesight were good. Mr Greenwood said his brother had ridden for 18 months or two years, and was a cool, collected driver. He was accustomed to carrying a person on the pillion, and knew the difference in dealing with a machine in those circumstances. Witnesses added that his brother was a sober and healthy man, and had had no previous accident, except that he had once run over a dog. Leonard Bexon, of 128 Street Lane, Leeds, paper merchant’s assistant, said he had ridden Greenwood’s machine during the last month, and it was in perfect order and was easy to drive. “It is quite likely that he would be changing gears at the time of the accident,” added the witness. The Coroner: That may be the whole cause of the accident. Witness said it would necessary to take one hand off the handlebar to change gear, but the change was easy. On the other hand Spink’s golf clubs, which he was carrying on his back, might have swung round and interfered with his steering. Dr Birtwistle said that both men had fractured skulls and severe injuries to the brain. It appeared as if the men’s heads had crashed against each other. An operation was performed on Greenwood. So as far as I can tell no actual blame was attached to either Robert Aubrey Spink or to Harry Greenwood. I wasn’t able to find a newspaper report giving the Coroner’s final verdict but I am pretty sure that it would be accidental death. I have four people with the surname Mason in my family tree at the moment. None of them appear to be related to each other. Esther Mason is my 3x great grandmother and she Married John Dinsdale at Kirkby Malham, Yorkshire in 1806. Henrietta Mason is another 3x great grandmother and she married Thomas Buckley at Keighley, West Yorkshire in 1820. The surname is the 96th most common in Great Britain. According to surnamedb Mason is a status and occupational surname which originally described a skilled stone mason. The derivation is from the pre 8th century Old French word “masson”, probably introduced into England by the Norman-French after the conquest of 1066. Indeed before that time few places in Britain were built in stone, so the French largely introduced both the word and the skill. The surname is said to be one of the earliest recorded and in a surprising number of different spellings. Early examples of the name include – John Macun in the building accounts of King Henry 1st of England in the year 1130, and Ace le Mazun, in the Pipe Rolls of Lincolnshire in 1193. Some other interesting Masons include James Mason (1779–1827) who was a supporter of Charles James Fox in the campaign to abolish slavery and liberate Catholics from the penal laws, and Sir John Mason (1503–1566), who attended Oxford university and worked his way up to become a royal ambassador and Chancellor of Oxford University – which was not bad considering his father was a cowherd from Abingdon! Spellings of the surname both in Britain and France include Macon, Mason, Massen, Masson, Machen, Machent, Machin, and Machon. Some examples from surviving church registers are those of Elizabeth Masson christened at St. Margaret’s Westminster, on July 21st 1540, and Awdry Mason who married William Elyat at that same church on June 10th 1548. Among the many prominent figures with this surname was George Mason (1725 – 1792), the American statesman who framed the Virginia Bill of Rights. This was later was used as a model by Thomas Jefferson when he drafted the Declaration of Independence in 1776. The first recorded spelling of the family name is possibly that of Richard Machun, dated about the year 1120, in charters of the Danelaw, for the county of Lincolnshire. The name has also been used in my family as a first name. Two descendants of Thomas Buckley and Henrietta Mason bear the name Mason Buckley. 1829 … John Snowden was born to parents Joseph Snowden and Mary Whitaker. He is the 2nd cousin of the wife of my 2x great grand uncle. 1877 … Selina Dawson was born in Eastburn near Keighley, West Yorkshire to parents Martin Dawson and Margaret Spencer. She is my 1st cousin 2x removed. 1878 … Thomas Turner was born to parents Thomas Turner and Mary Jane Carradice. He is my great grand uncle. 1878 … William Turner was born to parents Thomas Turner and Mary Jane Carradice. He also died on this day. He is my great grand uncle. 1847 … John Dawson was buried at Holy Trinity church in Cowling, West Yorkshire. He is my 1st cousin 4x removed. 1872 … Frederick Espley was born in Biddulph, Staffordshire to parents Joseph Booth Espley and Christiana Boyle. He is my wife’s 1st cousin 2x removed.